According to the World Report on Disability published by the World Health Organization (WHO) and the World Bank (WB), people with disabilities make up 15% of the world population and 80% of these people live in developing countries. These figures make the link between disability and poverty more than evident. However, inclusive development focus on disability is not yet sufficiently integrated into international cooperation projects. While developing countries are making great efforts to include the population with disability in the design of their public policies, in practice they still find many difficulties in implementing these ­policies due to a lack of economic and professional resources. It is precisely this objective of contributing to the effective implementation of inclusive policies for people with disabilities that Bridging the Gap is pursuing. This European funded project aims to promote the rights and effective inclusion of people with disabilities in five low and middle-income countries (Burkina Faso, Ecuador, Ethiopia, Paraguay and Sudan). To do this, the project proposes specific actions in each of the beneficiary countries in accordance with the needs raised by public institutions and disability organisations in each country. 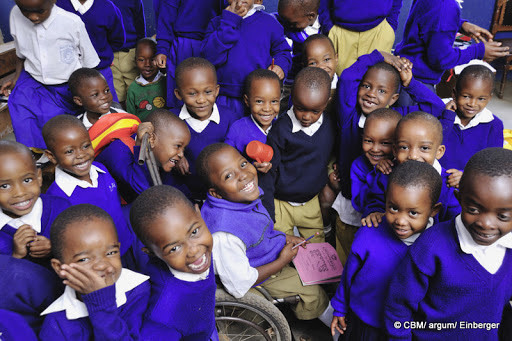 In­ Burkina Faso, it will focus on improving universal access to health for people with disabilities; in Ecuador, on the right to inclusive education for children with disabilities; in Ethiopia, on promoting an adequate standard of living and social protection for people with disabilities; in Paraguay, on improving the collection and processing of data on disability and on promoting inclusive education; and in Sudan, on improving universal access to employment for people with disabilities. The fact that five specific country actions are planned means that it will be possible to obtain visible results and, more importantly, it will allow all the countries to appropriate the results. Bridging the Gap hopes that the good practices generated by this project will be replicable, that they will be taken up thanks to a knowledge management strategy and could be projected at a global transversal level, promoting the mainstreaming of the inclusion of people with disabilities in international cooperation. The five areas which the project is focussing on are included in the Convention on the Rights of Persons with Disabilities (CRPD), the international instrument for the protection of the rights and dignity of people with disabilities. Article 32 of the Convention establishes that the party States must ensure that all their actions within the framework of international cooperation, including development programmes, are inclusive and accessible to people with disabilities. In addition, the promotion of the rights of people with disabilities is reinforced by the Sustainable Development Goals of the 2030 Sustainable Development Agenda and the new European Consensus on Development approved by the EU. Inclusion of disability approach in international cooperation is, therefore, an urgent issue to meet effectively the Sustainable Development Goals and to leave no one behind. Bridging the Gap will work to lay solid foundations to enable it.